WHAT I REALLY MEANT TO SAY… Juergen Schrempp clearly wishes he’d not been so candid in remarks made to the Financial Times last August. 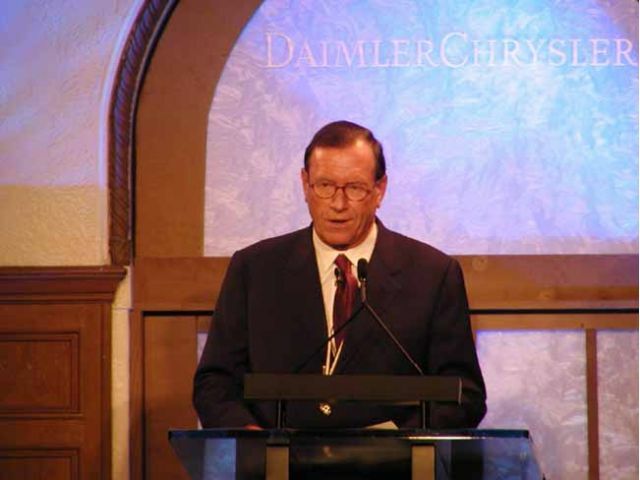 At the time, he boasted that he’d always intended a takeover of Chrysler Corp., rather than the “merger of equals” originally used to describe the deal that formed DaimlerChrysler. 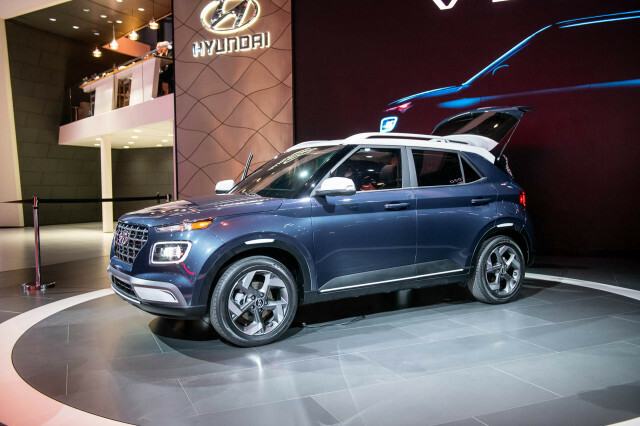 But in an appearance at the North American International Auto Show, Schrempp insisted “it was clearly a merger of equals,” an argument few seem willing to accept anymore. 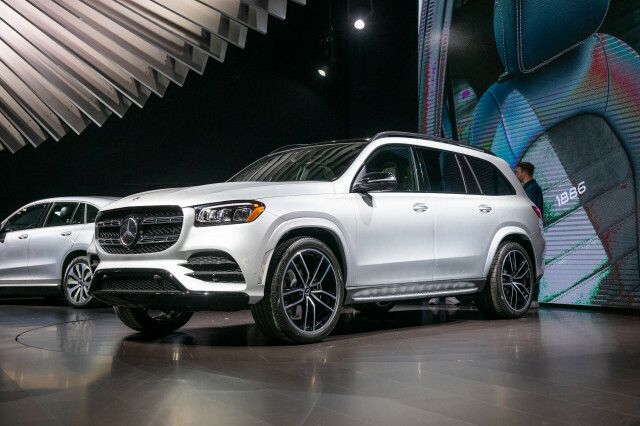 The normally ebullient Schrempp seemed surprisingly subdued at a Sunday night reception, acknowledging “the ups and downs” that have befallen him—and DaimlerChrysler—in recent months. 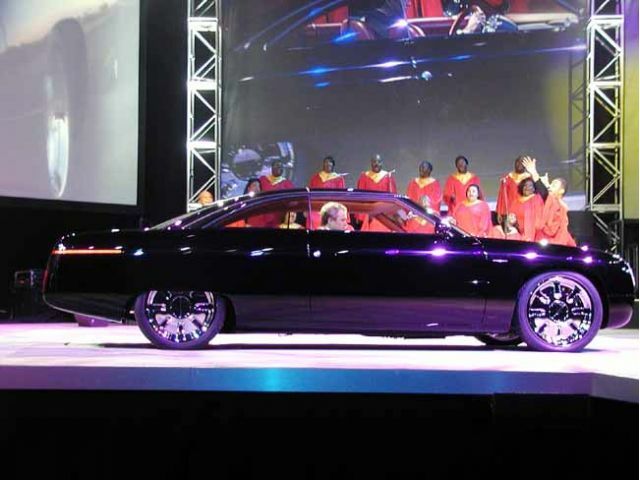 A turnaround plan for Chrysler will be released on February 26th, he noted, countering rumors by declaring “it would not make sense at all” to spin off Chrysler. “A strong, revitalized Chrysler Group is an essential part of our strategy,” Schrempp said. LIBERTY FOR ALL? 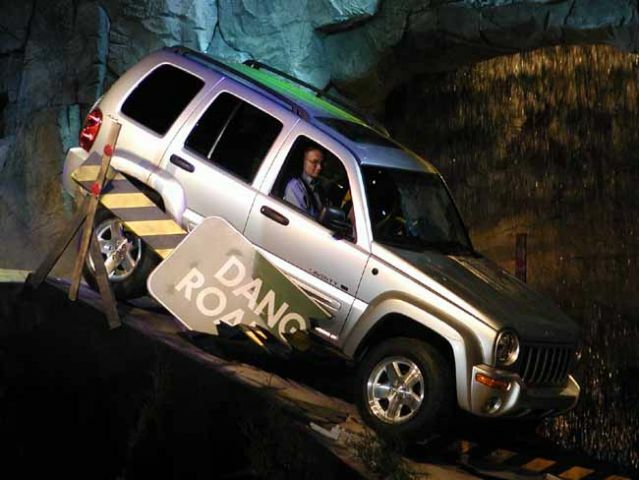 DaimlerChrysler broke tradition by giving us a glimpse of a future production model, the Jeep Liberty, rather than revealing its concepts on the eve of the auto show’s press days. Liberty will replace the venerable Cherokee later this year, and with it Jeep aims to attract “a new generation of SUV buyers.” Power will be supplied by an all-new 3.7-liter PowerTech V-6 (derived directly from the Grand Cherokee’s 4.7-liter V-8) rated at 210 hp, or from a standard 2.4-liter inline four. With a new suspension design taken from the Grand Cherokee, and a new emphasis throughout on road manners and refinement, the Liberty promises a gargantuan leap in comfort and driveability. 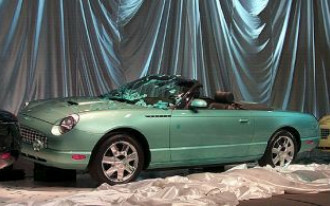 But DaimlerChrysler officials say that the Liberty is not to be confused with the “cute-ute” crowd. Is Liberty tough enough to keep Jeep’s reputation for off-road toughness? We can’t say yet, but we’re already eagerly waiting for our first drive. Oh, and stay tuned to TCC for the real DC concepts. ONE FLEW OVER THE CUCKOO’S NEST. No, that’s not the pundit’s tag for Schrempp’s visits to Chrysler headquarters in Auburn Hills, Mich., but the title of the best-selling book—and award-winning movie—by author Ken Kesey. 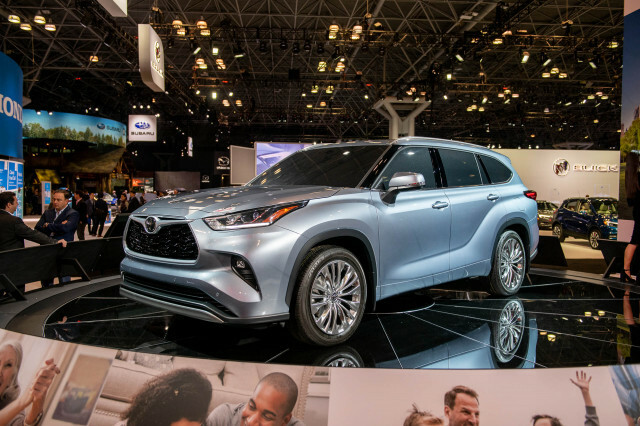 The author, former hippie and “Merry Prankster” was easily the most unusual pitchman to show up at this year’s North American International Auto Show. 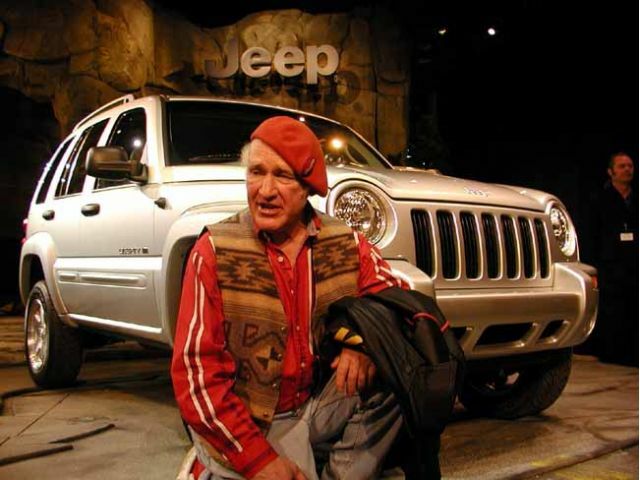 In a tribute to the open road, Kesey read from his own works, as well as those of beatnik traveler, Jack Kerouac, and poet Robert Frost, before putting in a plug for the new Jeep Liberty. In the old days, Kesey traveled the blue highways of America in a beat-up old bus named “Further.” These days, Ken moves a little more stylishly - after his 15-minute gig, he took a jet back to his home outside Eugene, Ore.
BUICK BENGAL: The Buick Bengal roadster concept boasts a "wheels forward" architecture, foldable seats with a flexible cargo area, and technology convenience items like voice-activated controls and a heads-up display. The swoopy Bengal is about two inches shorter than a Buick LeSabre, and has a 250-hp 3.4-liter V-6 with a six-speed automatic transmission. 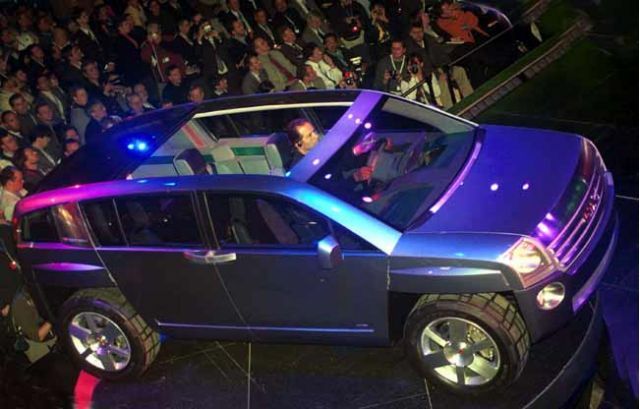 CADILLAC VIZÓN: The sleek Vizón luxury sport wagon has a tall, wide stance that resembles an SUV package. 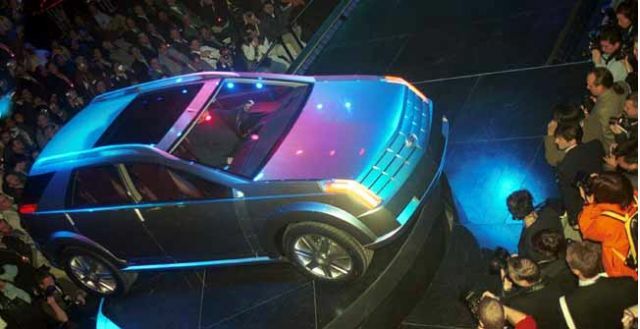 The concept has 4.2-liter V-8 Northstar power and high-tech goodies like a height-adjustable suspension, night vision, a rear-view video system, and smart cruise control. Vizón's flexible interior has a center console that extends the entire length of the cabin, for ski storage. GMC TERRACROSS: Judging by the mixed responses heard from members of the press, GMC's Terracross seems to be another love-it-or-hate-it design. It's certainly innovative and original, with a low, curved roofline, sliding rear doors, a retractable roof, and nearly no wheel overhang. Sliding roof segments combined with a flat cargo floor can create a pickup-style open cargo box if desired. Terracross has a 3.4-liter V-6 engine and automatic transmission. OLDSMOBILE O4: Penned with input from Bertone, the Oldsmobile O4 offers the fun of a small roadster with real four-passenger seating. The "O" is for oxygen or open, and the "4" is for four-place, says GM. 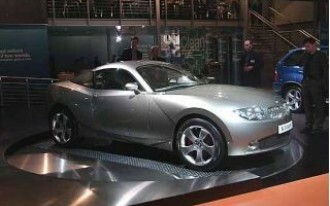 The small roadster has a turbocharged, 1.8-liter four-cylinder engine borrowed from Opel. EL NINO CAMINO? 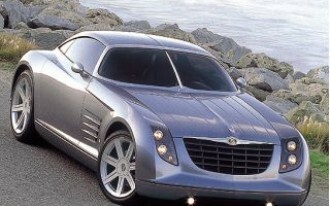 This surprise concept hails from the General Motors of Brazil Design Center. 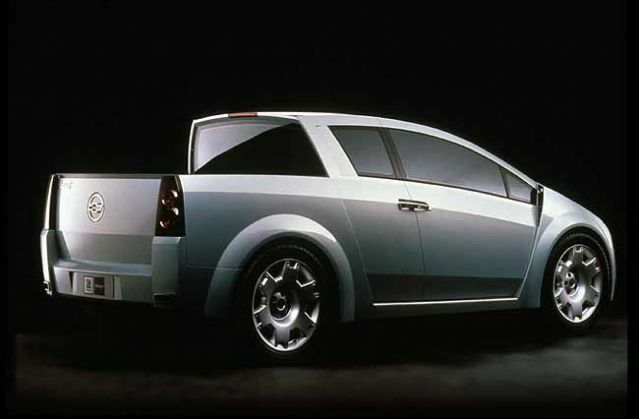 Sabiá is described by GM as a "four-door utility coupe," with a small pickup bed in the rear. The Sabiá, based on the Brazilian Corsa and only 174 inches long, was designed with active Brazilian youths in mind, although we see no reason why active American youths wouldn’t love it. A supercharged 2.2-liter four-cylinder engine powers the front wheels. 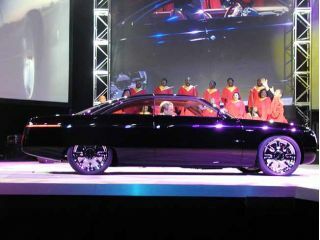 Rear doors are "suicide style," hinged at the rear for easier entry and exit. A gap bahind the front fenders allows rear-facing cameras to replace traditional rear-view mirrors. With Subaru bringing a model based on the similar ST-X sedan/pickup concept, and others on the way, this could be the start of a hot new segment and the resurgence of the "pickup car." THE CHARGE OF THE GREEN MACHINES. 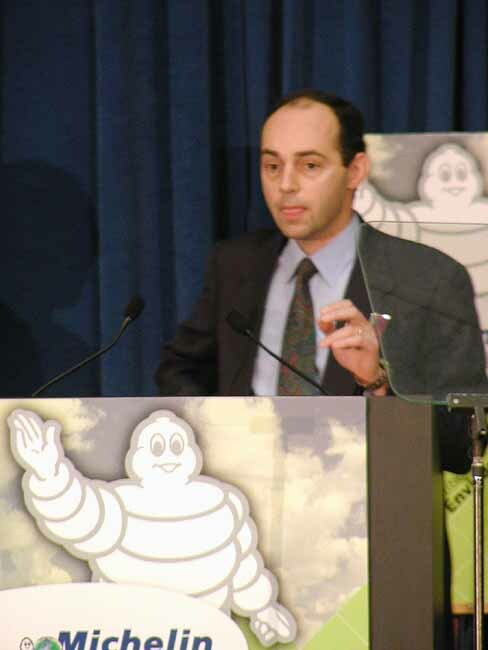 Michelin will stage a long-distance race of environmentally friendly vehicles next October. 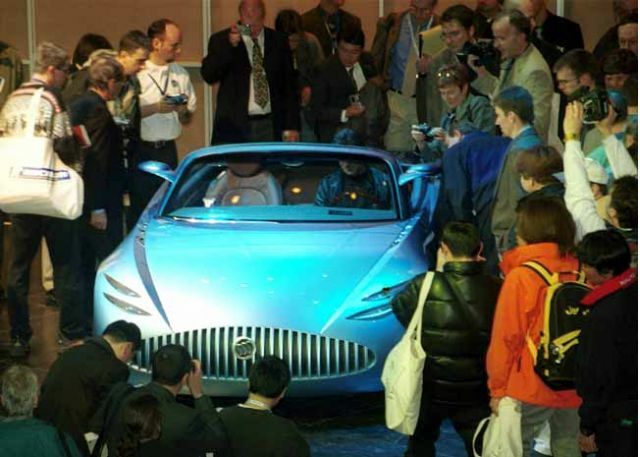 Modeled after an event held in Europe in 1999 and 2000, the three-day Bibendum Challenge will take an assortment of hybrids, solar cars, fuel cell vehicles and other green machines on a 270-mile course from Los Angeles to Las Vegas. The sponsors hope to attract a range of technology “from cars that are already sold to technology that may not be on the road until eight to ten years from now,” said the tiremaker’s CEO Edouard Michelin. The Bibendum Challenge will begin on October 26th. LOYAL BUYERS. It’s hard to keep buyers these days, what with all the new products on the market—and the incentive money manufacturers are throwing around. But there are still some products that keep customers coming back, year after year. And those with the highest loyalty rates were honored Sunday by the R.L. Polk company, which based its findings on five million new vehicle registrations. Loyalty means more than just bragging rights, emphasized Polk CEO Steve Polk. “Loyalty improves revenues and profits.” The winners? General Motors took top honors in four of 12 product categories, and was named the manufacturer with the overall highest loyalty. Ford took honors in four more categories, while its flagship Ford division won the best divisional title. 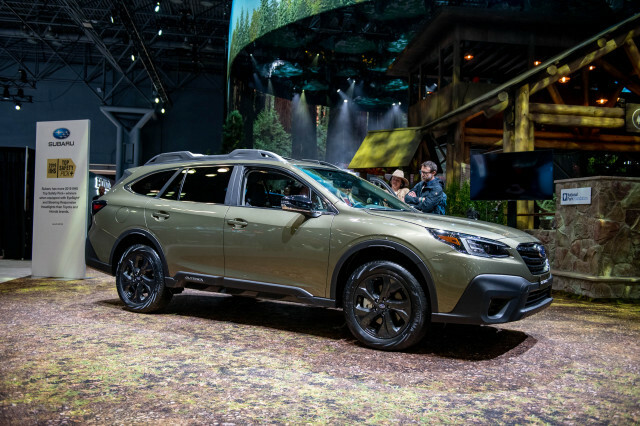 Other winners included the Mercedes S-Class, in the Prestige Luxury segment, the Porsche Boxster in the Sports Car segment, and the Subaru Forester in the Compact SUV class. TAKING CONTROLS. Automotive systems supplier Johnson Controls took the opportunity on Sunday to introduce a variety of new interior concepts to the automotive media. Along with an announcement of several E-commerce initiatives that will better link JCI with its customers, suppliers and employees, the company hinted at some of the features that will be appearing in production cars soon. One of the technologies the company discussed was Bluetooth-enabled automotive interiors. By using the standardized networking protocol in the automobile, Bluetooth-enabled components, such as cell phones, can become car friendly by merely entering the vehicle. "As cellular phones become Bluetooth compatible, they will automatically become hands-free," said Mike Suman, JCI's Group Vice President of Marketing and E-business. 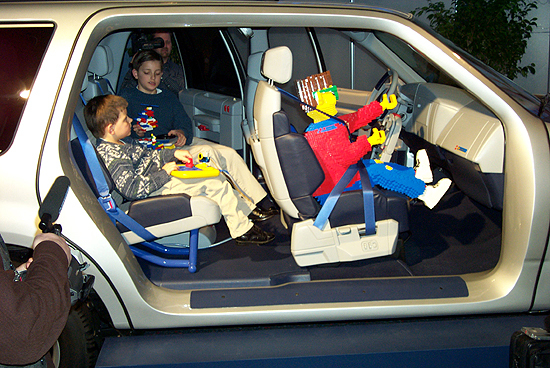 Other concepts showcased included a Lego-themed vehicle interior, integrated removable backpacks and several new interior materials. 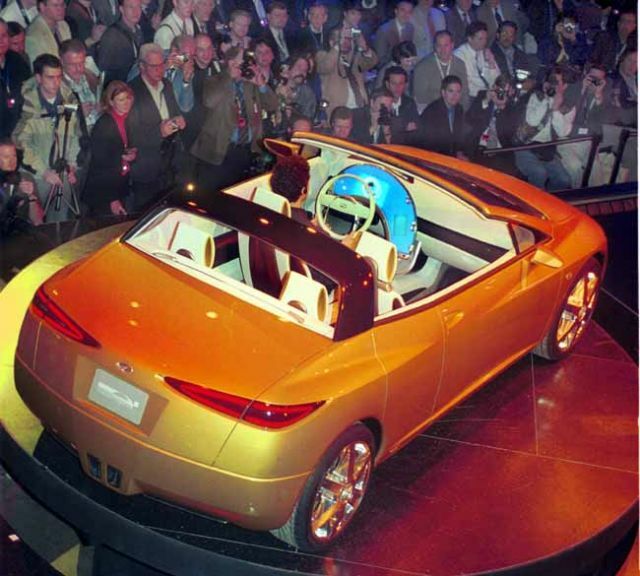 For all our Detroit 2001 coverage, click here.